This is our same Smart Cocoa recipe chock full of functional ingredients with an amazing taste, just without the stevia. 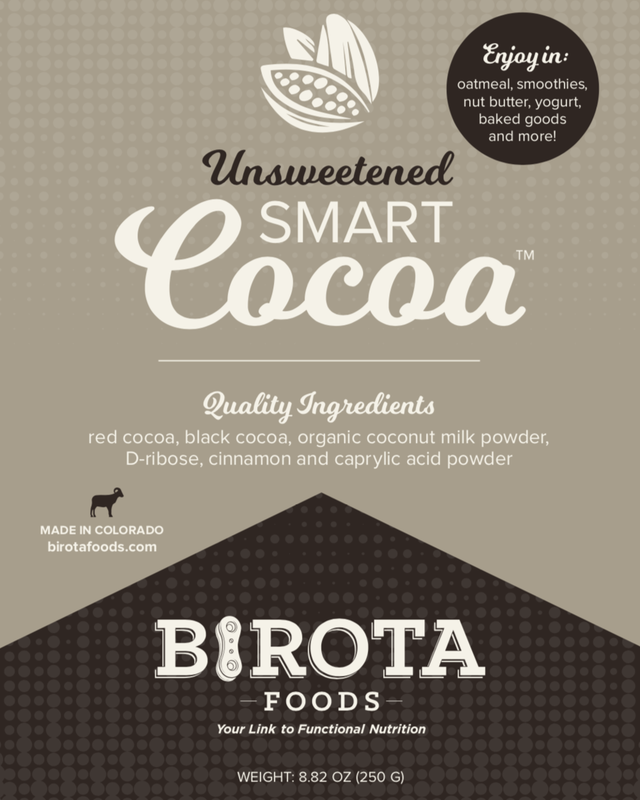 We realize everyone has different taste preferences so we made a stevia-free version of our Smart Cocoa! 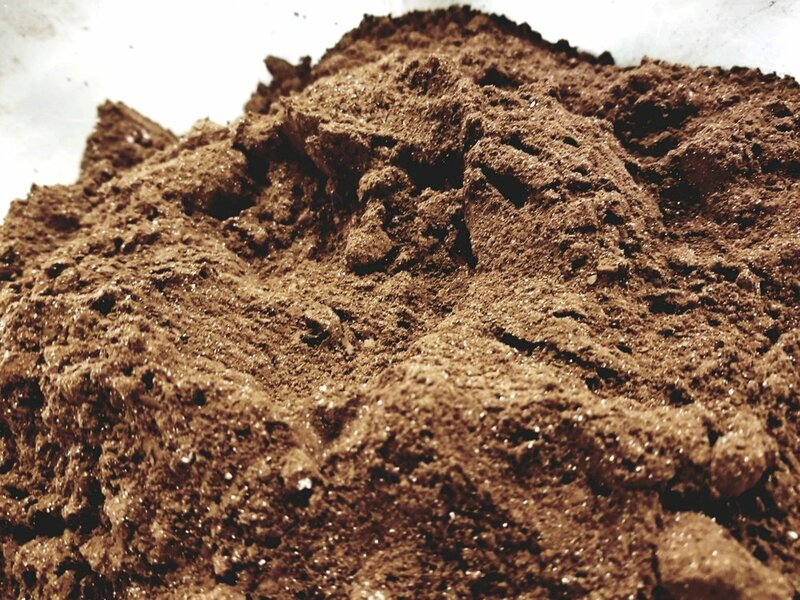 There is a slight hint of sweetness from the d-ribose but other than that, this is a dark, rich cocoa product that can be used as hot cocoa or added to coffee for a mocha flavor. We highly recommend using this unsweetened version in oatmeal, yogurt, granola, smoothies, puddings, pancakes, and baked goods such as breads and cookies! Enjoy all of the great tasting, functional ingredients that support fat burning and enhanced health, fitness and athletic performance. * Each serving is chock full of five very functional ingredients that will make you lick your lips and want to explore more ways to use it! Welcome to the future of cocoa, unsweetened! 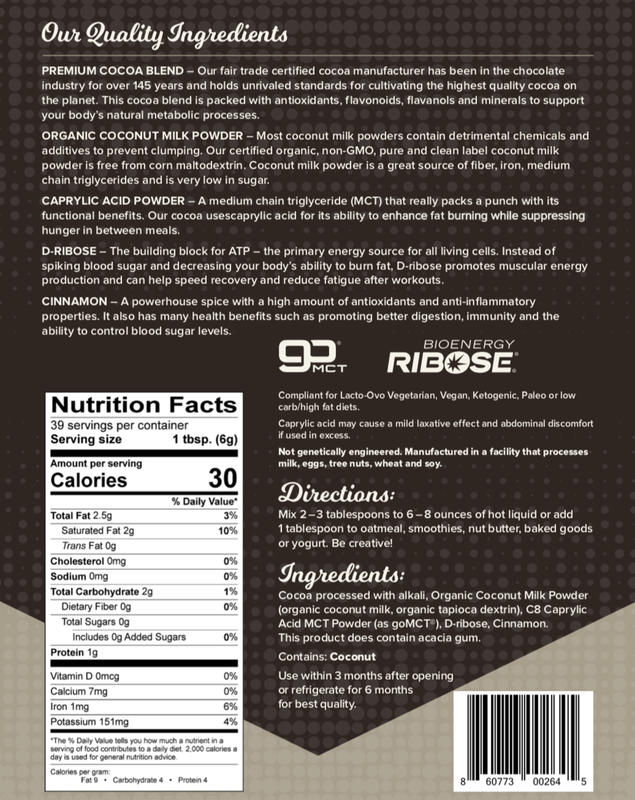 Ingredients: alkalized red and black cocoa, organic coconut milk powder, caprylic acid powder, d-ribose, cinnamon. SUBSCRIBE AND SAVE 10%! You will receive one bag of Unsweetened Smart Cocoa every month to enjoy!